I love either all white and neutrals or vibrant jewel tones and today it's jewel tones! 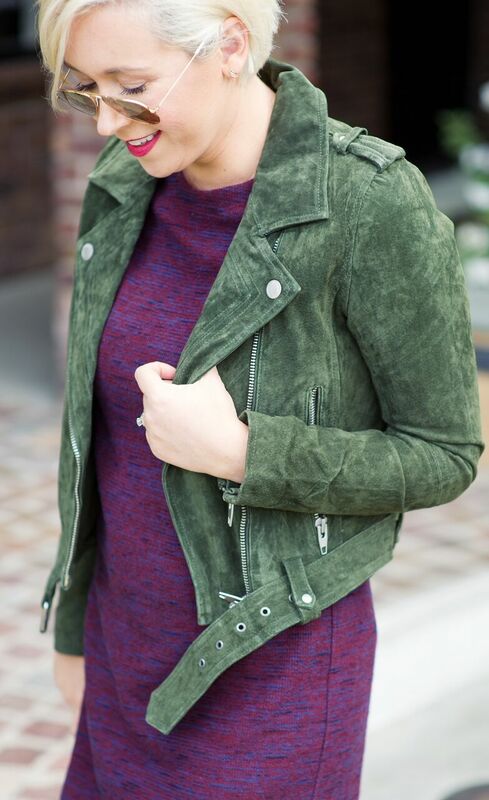 This olive green suede moto jacket is the PERFECT fall jacket in my opinion. 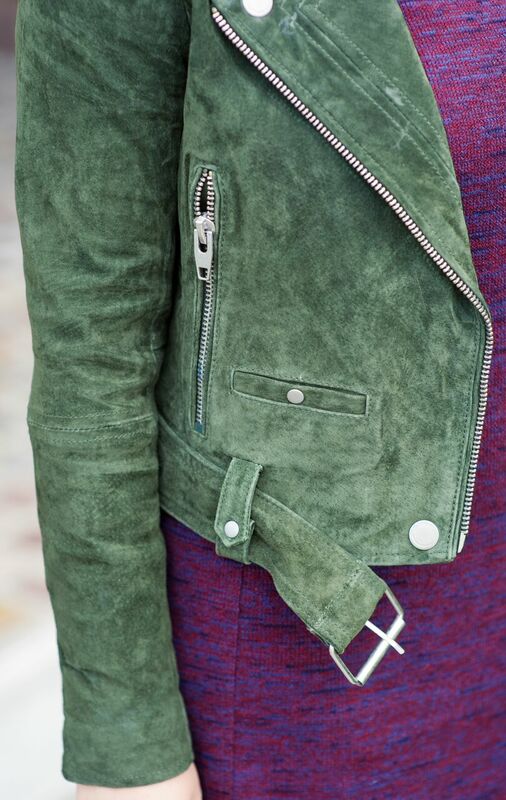 I love green and how it can work as a neutral for really any color combo. I paired it here with a super transitional plum colored shift dress and booties but plan to rock it with all black skinnies and loafers or even my leopard print shell top and boyfriend jeans. Also, LOFT is having a great sale right now. Grab 40 % of full priced items using code GAMEON. I am going to grab a couple more shift dresses myself.